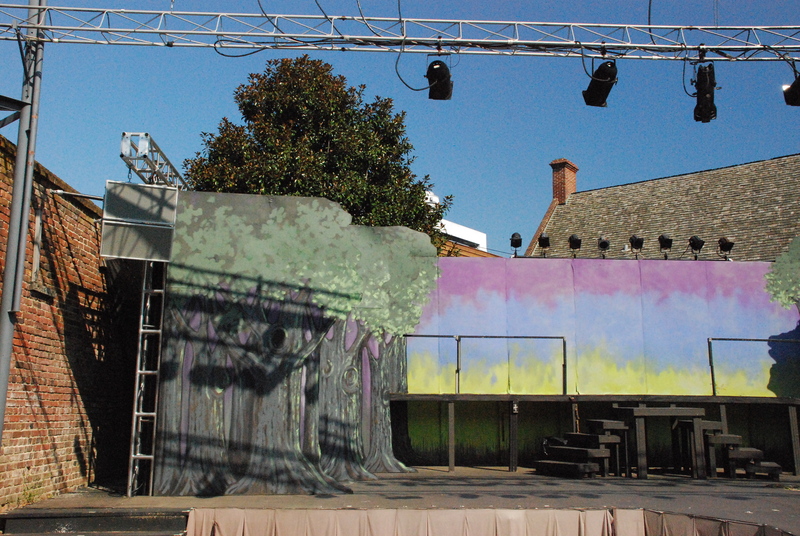 The outdoor garden setting is pleasant for theatre goers, but it presents ongoing challenges to actors and staff ranging from lingering afternoon heat and inclement weather to noise from boat engines and horns at the nearby City Dock. 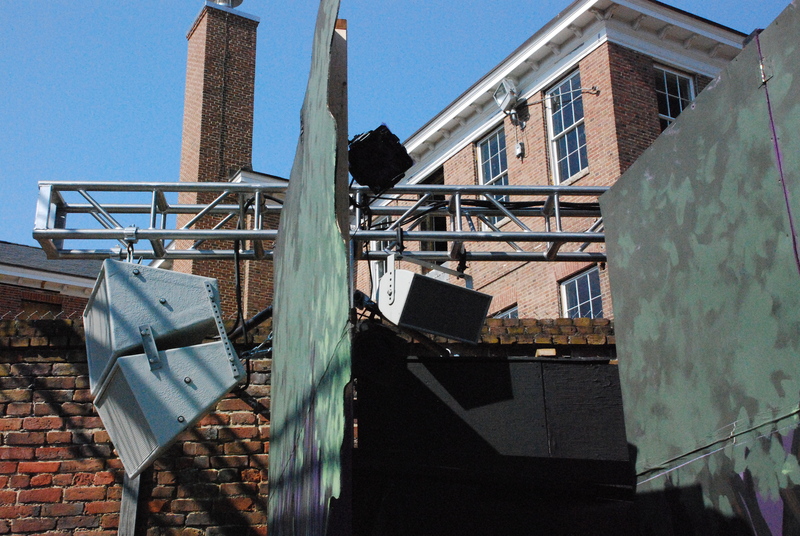 Scott McCormick, one of two Technical Directors at ASGT, says the theatre’s previous loudspeakers weren’t weather-resistant and had to be bagged or removed from the theatre when it rained and after each performance. In addition, they had poor directional control which contributed to on-stage feedback issues and neighborhood noise complaints. 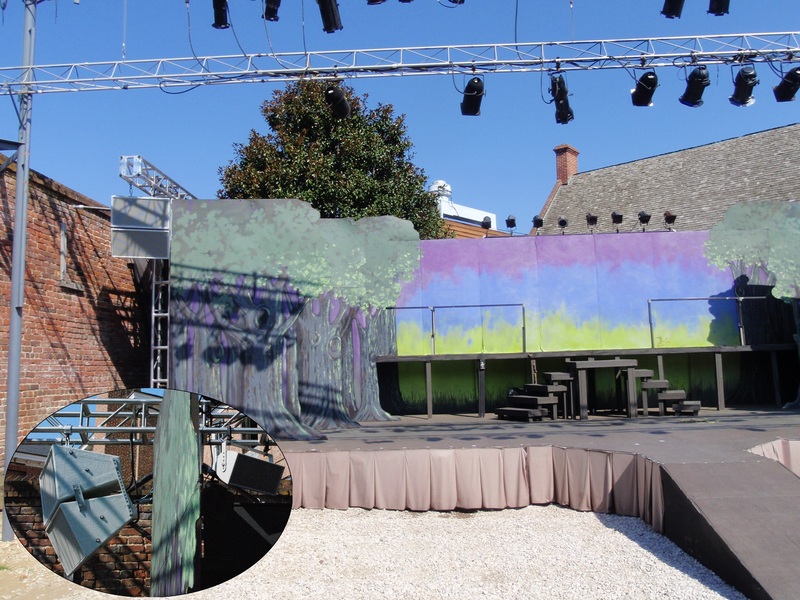 Last summer, McCormick and members of the tech team approached the board of directors with a request for a new loudspeaker system. He wanted to fly the system on a truss that could double as a lighting truss. He wanted high-performance loudspeakers that were weather-resistant and could be left in place throughout the year. 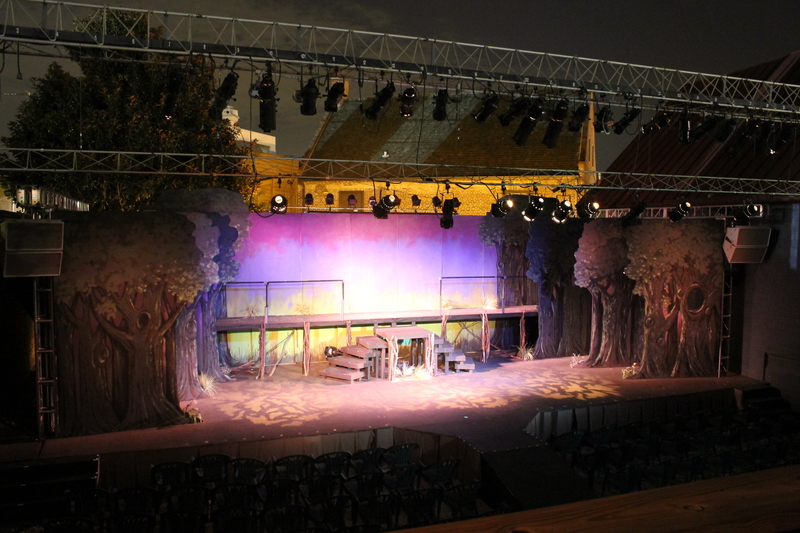 And, he wanted good directional control to provide even coverage in the theatre and reduce sound levels in the neighborhood.